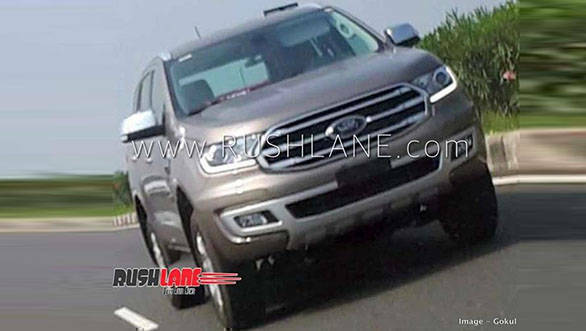 The updated Ford Endeavour has been caught testing in India which hints of a launch in the coming months. This refresh is believed to be a part of the mid-life update and will be similar to the new Ford Endeavour that was recently introduced in the Asia-Pacific market. While it is a given that the 2019 Ford Endeavour will come with cosmetic updates on the outside along with feature updates. Ford India could also look at offering the more powerful engine options that are available on the international model. A select few dealerships have started accepting bookings for the SUV. While Ford India has not announced any dates for the launch of the 2019 Ford Endeavour, we have learn that it will happen by the end of this month. The upcoming SUV's fascia could be restyled with a new bumper, grille and black headlamp inserts. The 2019 Ford Endeavour is expected to sport newly designed 20-inch alloy wheels. On the inside, the cabin could be updated with a restyled dashboard. The infotainment system is expected to be updated with Ford's Sync3 system, also seen on the new Ford Aspire and the EcoSport. The international variant of the SUV sports an autonomous emergency braking system with pedestrian detection for added safety. In its present state of tune, the 2.2-litre diesel makes 158PS of power and 385Nm of torque while the 3.2-litre diesel makes 197PS and 470Nm. Internationally, the 2.0-litre diesel unit churns 240PS of power and 400Nm of torque with the single turbo unit while the twin-turbo setup produces 289PS and 500Nm of torque. Both these engine options come mated to a 10-speed automatic gearbox as standard. 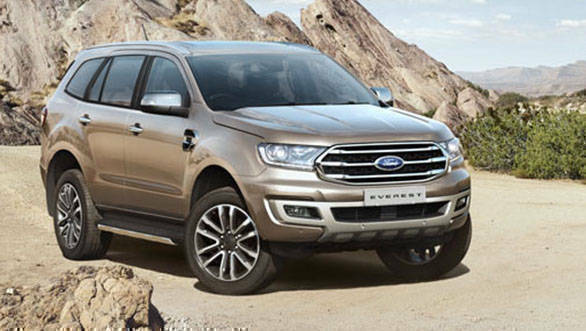 We believe the 2019 Ford Endeavour could attract a price hike up to Rs. 50,000 on the ex-showroom price. The updated Ford Endeavour will rival the Toyota Fortuner, Mahindra Alturas G4, Mitsubishi Pajero Sport and the Skoda Kodiaq.